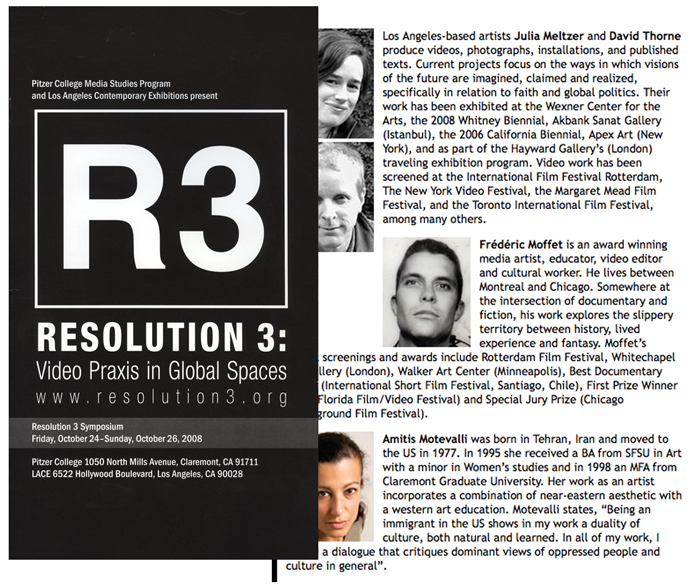 I was invited to be a Panelist, Featured Artist and Workshop Leader at the Resolution 3 symposium in LA in October 2008. During this conference i met the lovely Amitis Motevalli and Irina Ambriz Dacumos. Good Times.